M-Clip: The World's Finest Money Clip®for men who expect nothing less than the best. Designed to hold an adequate amount of content, including credit cards and cash, and crafted in quality materials to stand the test of time. 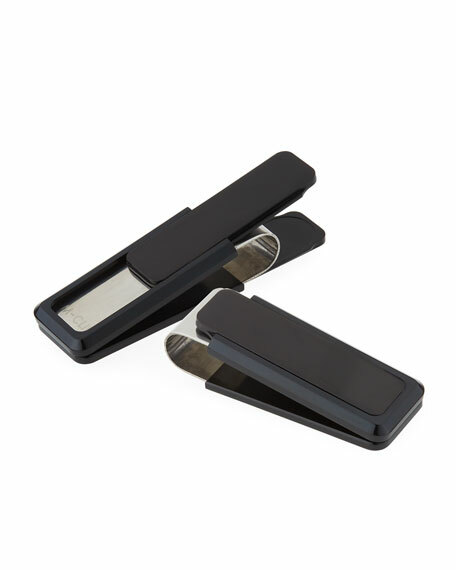 M-Clip polished black-plated money clip with polished aluminum inlay. Precision stainless steel heat-tempered spring. Polished and assembled by hand.